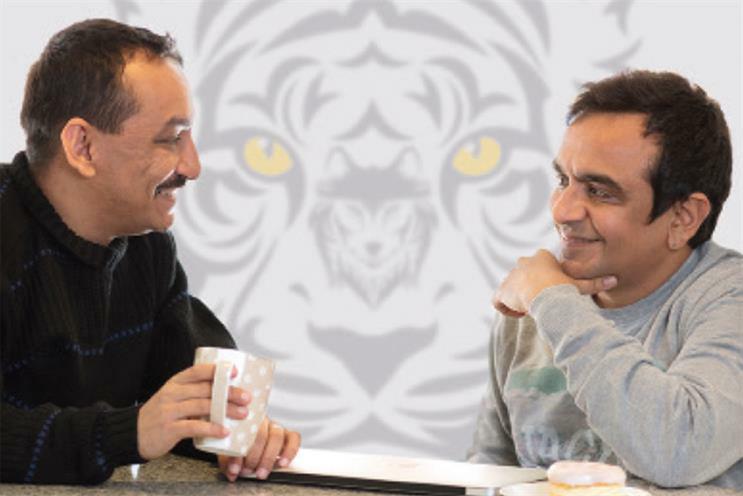 Praful Akali founder & MD, Medulla and founding partner, WYP; Amit Akali, CCO, Medulla and CEO, WYP: "The innate strengths of independent agencies, over the networks, come from the habits of tigers rather than wolves"
Wolves hunt in packs and the tiger hunts alone. But as independent agencies that hunt alone and often compete against the packs for the same business, have we learned from the tiger’s hunting strategies? Medulla is an independent ad agency that has beaten the networks at their own game in health. An agency that has taken healthcare advertising forward. The only one named in the top three for Healthcare Agency of the Year at Cannes Lions Health, for each of the three years of the award’s existence. Named Healthcare Agency of the Year in 2016 and fetching India its highest metal tally at Cannes, ahead of network agencies that have 40 times more employees in India alone. Beating the networks again with the highest number of shortlists from India at the APAC Effies 2018 (results yet to be declared as we write.) The only healthcare agency to be listed in the Gunn Report in 2017 for winning a creative Gold at Cannes and an effectiveness Gold at Effies on the same campaign. Probably the only non-US agency to be developing international TV commercials for a leading pharma corporate. What drives this success? Four key learnings, all of which come from the innate strengths of independent agencies, as opposed to the networks, and all of which, strangely, come from the habits of tigers rather than wolves. While wolves have the advantage of collaboration, tigers compensate not just with strength but through logical strategies. Tigers can swim, run, leap, and climb. Why, then, do specialist agencies feel that they can get away with only strategy, only events, only digital? This forces clients to have complex marketing teams to co-ordinate with various agencies. Tigers are sharper in their selection of prey. Over time, individual tigers become more selective. Put these ideas together, and one realises the trick is to identify your clients sharply, but be a complete partner to them. So independent agencies should choose to be a specialist for a particular category of clients and not a specialist that performs a single function. Then, we can be partners to our clients just like the networks. Tigers get closer to their prey when the hunt starts. Independents are so focused that we start talking business instead of first building relationships. Remember, clients are familiar with the networks, not independent agencies. So focus on the relationships and the business will follow. It is during a hunt where co-operation between wolves in a pack is most apparent. Network agencies tend to work like that, driving collaboration when they have to pitch for a business but forgeting about this while delivering on the business. What’s a weakness for the network should be made a strength of the independent. If you can, choose the best of both worlds – there’s nothing like it. Six years into Medulla’s existence Amit joined as CCO, with 20 years’ experience in the leading networks – seven as a creative head. He and Praful set up WYP, which works in every sector except healthcare, giving the combined agencies the scale of a network with the passion and skills of an independent. Yes, Medulla is hosting a session at Cannes this year, accompanied by the chief executive of Mylan. We are focusing on speaking and not awards this year. Best case: we control AI. Worst case: AI controls us. Our roster of US-based pharmaceutical and healthcare clients is expected to grow exponentially and may necessitate the opening of a US office. The MS Bike – an idea that pulls together doctors, engineers and creative folk to get the world to realise what a multiple sclerosis patient goes through. It used integrated media – event, celebrity, PR, online videos – beautifully. Principals: Praful Akali, founder and managing director; Amit Akali, chief creative officer.